Nevada’s state parks represent the best of Nevada, a diverse and unique land with a rich cultural and natural history. From pristine mountain lakes and extraordinary canyons, to historic forts, ranches, and mining towns, each of Nevada’s state parks has a different story to tell and a different adventure waiting to be discovered! Please select from the following links to find out more about learning opportunities in Nevada’s state parks. Nevada’s state parks provide a variety of interpretive programs throughout the state that engage visitors of all ages in experiences that encourage understanding, appreciation, and stewardship of Nevada’s outstanding cultural and natural resources. Find programs that meet your interests and fit your schedule. 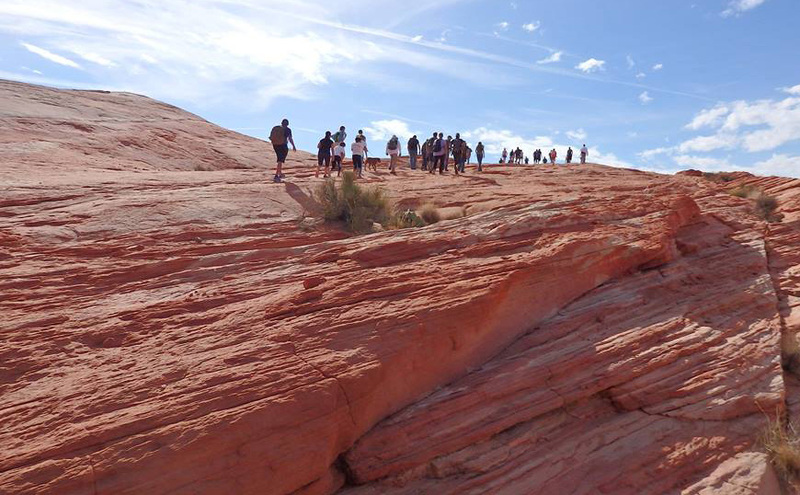 Nevada’s state parks serve as dynamic classrooms and learning centers for visitors of all ages. Find information about field trips, materials for loan, group use areas and other educational facilities (i.e. museums, visitor centers). Nevada’s state parks are amazing places for kids to play, learn, and connect with the outdoors. Find Junior Ranger information as well as other activities that encourage kids to discover, learn, and protect Nevada’s state parks. Since 1963 the Nevada Division of State Parks has been committed to providing visitors the opportunity to discover some of America’s greatest natural and cultural resources. Read detailed histories of each Nevada State Park. Since 1963 the Nevada Division of State Parks has been committed to providing visitors the opportunity to discover some of America’s greatest natural and cultural resources. We are always looking to grow and improve our interpretation and education programs. If you don’t find what you are looking for, or would like to see something offered at a park near you, please contact us.